Not to be confused with mammalian dolphins, dolphin-fish are fish and the two bear no relation. We often call dolphin-fish mahi-mahi because mahi-mahi means strong-strong in Hawaiian, a perfect name for a fish known for their powerful fight once hooked. Found in abundance in the spring and into the summer months, season is April-August. 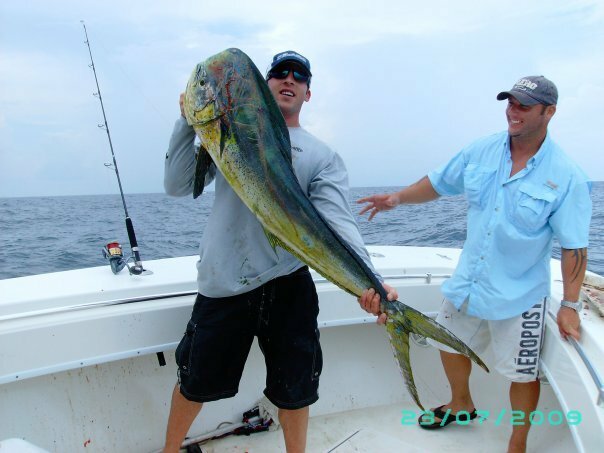 Mahi-Mahi feed on a variety of prey – small fish, squid sargassum, crabs, and crustaceans. 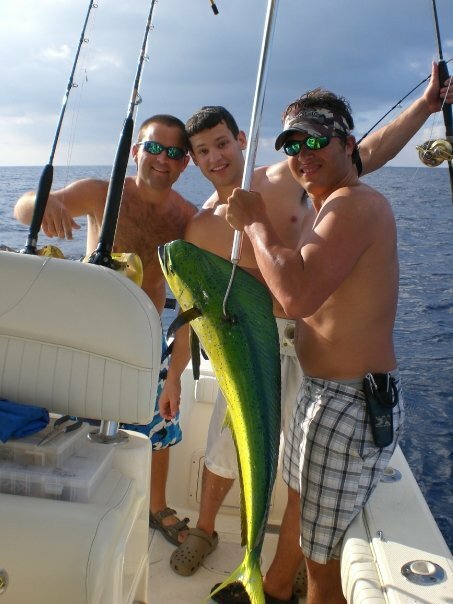 Mahi-Mahi are very strong and fast swimmers. They are usually between 15-30lbs. Male and females can be distinguished by the shape of their head. Mahi-Mahi range in colors from green, blue and yellow. Once out of the water they will display yellow to gold tones. 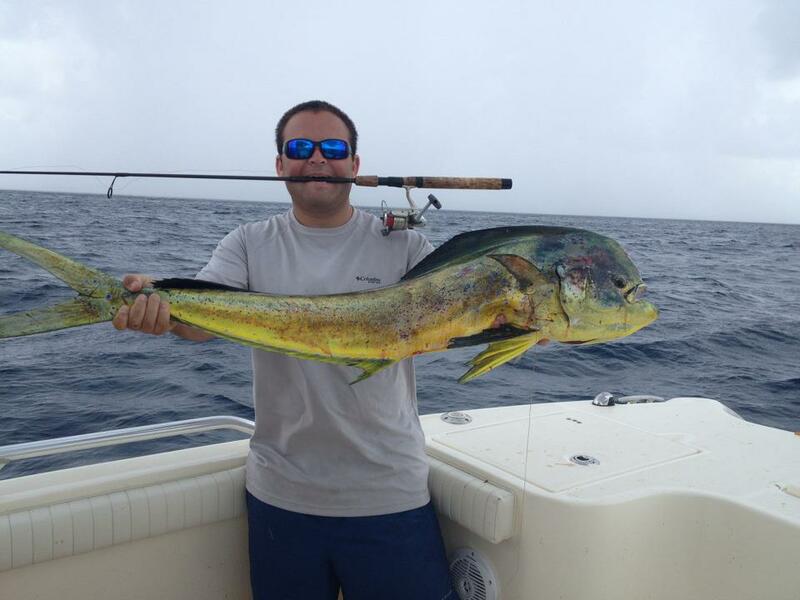 The Mahi-Mahi provides one of the best offshore fishing adventures for anglers of all skill levels. Mahi-Mahi is plentiful on the coast of Venice, Louisiana and currently there are no bag limits. Come experience game fishing at its finest in Venice, Louisiana. 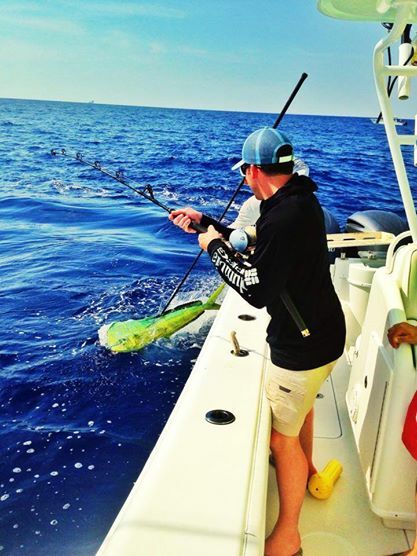 To book your Mahi-Mahi fishing charter in Venice, Louisiana please contact us today!